Join fishing guide Johnny Johansson on an exciting fishing adventure seeking pike and trout in lakes South and North Dellen. Johnny offers spin fishing, jerkbait fishing and trolling with wobblers and deadbait in the virgin inland lakes for large pike, pearch and brown trout. The lakes Southern and Northern Dellen is real pristine crystal clear waters surrounded by a stunning natural environment. Pike weighing 10 kg and perch around 1 kg and brown trout 3 kg are none of them unusual when fishing with Johnny. The season for pike is May to November. Trolling and vertical fishing for pike and brown trout run through May to June 30, as well as September 1 through October. 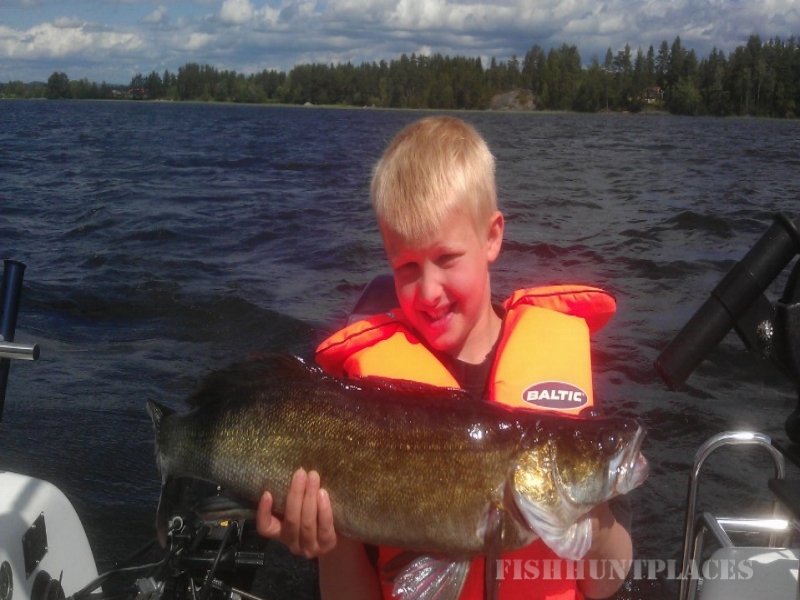 Pikeperch fishing is best in early summer and summer itself. Here is a selection of summertime sites to visit: Trolska Skogen in Mellanfjärden is for the whole family (www.trolskaskogen.se ). JärvZoo Animal Park in Järvsö is another site for families with children and people interested in animals (www.jarvzoo.se). A study visit to the nearby decorated farmhouse so typical for Hälsingland Province. 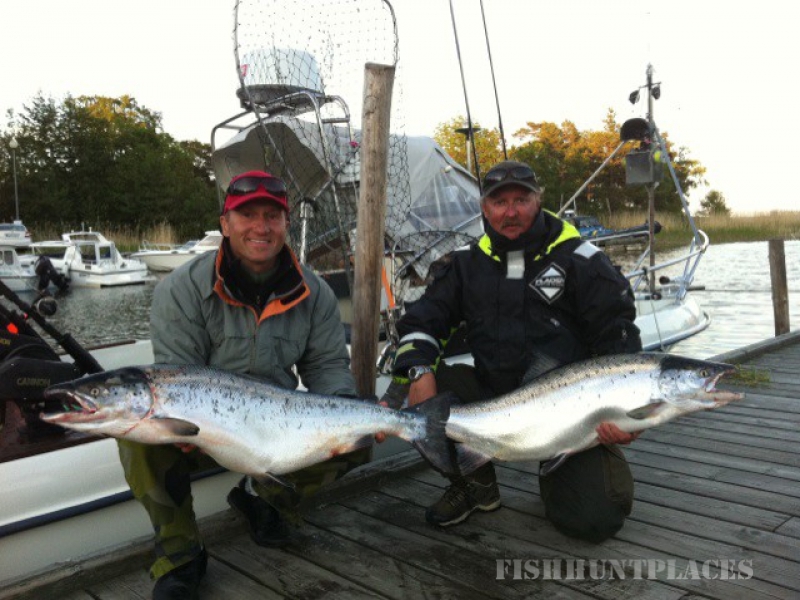 Welcome to our beautiful area and to fish ´In the middle of Sweden´! Guide boat: Nordsjö 6.40 m Walk Around with 140 hp and 15 hp Suzuki motors, fully equipped for trolling. Can take 6 persons. Rental boat: 1 Persson boat, 5,20 m, wide 2,0m with a 30 hk Tohatsu outboard, electric motor, oars, fish finder, gps and trailer. Trolling, spinning, jerk and vertical fishing is done from the guide boat. Twelve-rod paravanes are used. Pike calls for 15-25 cm large wobblers in various colors, or even deadbait. The vertical fishing is either done from an anchored boat or while drifting. Traditional vertical rods are used with rubber jigs of various size and colours, both dependent on water temperature and season. Spinnfishing and jerkfishing is done from the guide boat. Traditional spinn or jerk rods are used with rubber jigs of various size and colours, both dependent on water temperature and season. 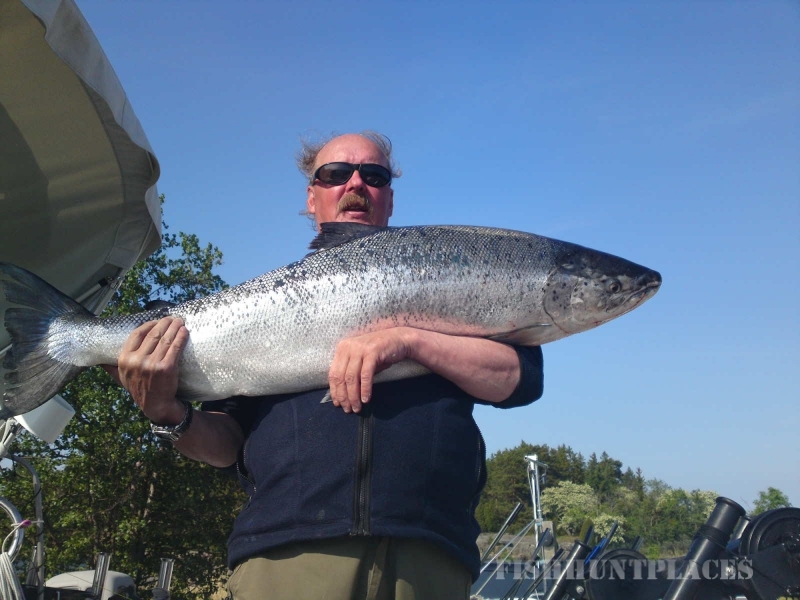 Trout – max 3 fish/day, minimum size 50 cm, no more than 8 trolling rods at the same time. When fishing in South and North Lake Dellen the rod limit for trolling is 8 at the same time. All pike, brown trout and perch must be photographed, weighed we recommend Catch & Release.